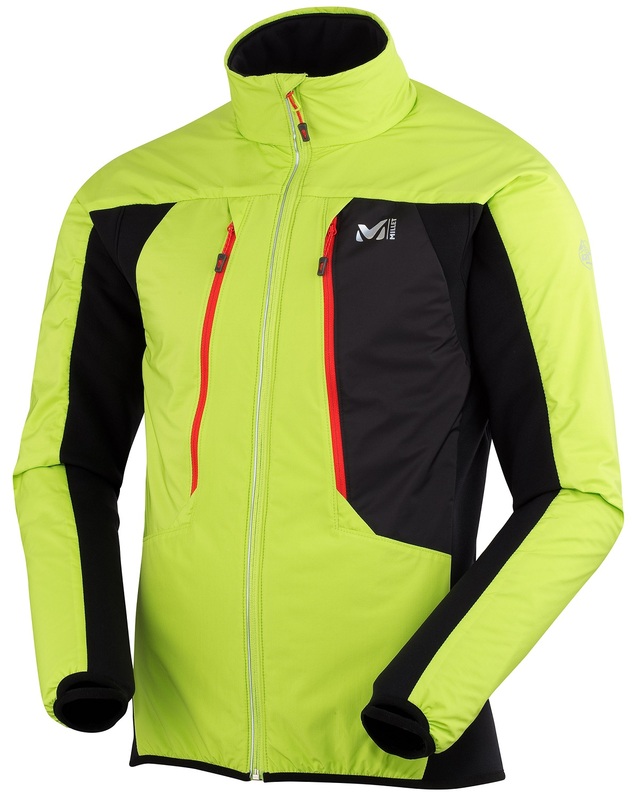 Millet calls it a “new-generation hybrid” jacket which seems appropriate. The dual-natured Touring Alpha is a slick composite of insulated and soft shell jackets. Power Stretch® Pro back and side panels are combined with Polartec® Alpha insulation on the front and arms to make an amazing jacket for touring and ski mountaineering. Alpha is Polartec’s new state-of-the-art insulation material that scores the highest on breathability and compressibility charts. Power Stretch Pro has long scored highest on movability charts (is that a thing?). Millet’s composite of the two is a work of both art and science. Two zippered chest pockets are a natural place to put your skins before heading down. Polartec Power Stretch Pro panels on the sides and back are flexible and breathable. Easy pivoting sleeves have thumbholes for fans of opposable finger segregation. Polartec Alpha insulation is the new hotness in the exciting world of textiles. Alpine Fit™ and Composit™ construction imply comfort and quality. Flex Comfort™ is another Millet trademark which translates to awesomeness. I have a 40 inch chest. I have a insulated millet ski jacket for inbounds in medium. Does the alpha touring composite jacket have a tighter fit? Im not sure if i should get medium or large. Thanks! Hi Allan, you will want the Large. Millet shifted their sizing recently and what used to be a medium in the US is now a large.